This is the third month with SFI and I continue to make some progress, but it is slow going. I’ve got quite few PSAs but so far none of them seem to be wanting to do anything. But that seems to be the norm with these people. As most of the information I’ve read on the site it seems that most of the people have the same problem. This is a very simple program and has a great potential if people would just stop and take a good look at how simple it really is. All you need to do is earn or purchase 1500 VP each month which makes you an EA2 each month. Then you need to find others that want a business and are willing to do the same by being an EA2 each month and them finding people that want the same thing. This will cause you to become a team leader and achieve the different levels in the commission plan. The main way of getting VP and other rewards is through Tripleclicks which is the eCommerce site which sells products from all over the world. They also have games you can play to earn VP, Tcredits, PSAs, CSAs, and other awards. They also have auctions where you can bid on products and purchase things much cheaper than regular price. People that sell are called ECAs and if you sign up people to sell things on Tripleclicks you make a commission on their product sales. 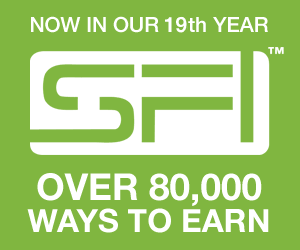 So that’s another way to make money in SFI. You don’t have to belong to SFI to participate in Tripleclicks. I hope you can get an idea of what it takes to grow an online business using SFI and you will take a look at it and give it a chance. As you can see it’s not a get rich quick business as most aren’t. But it’s been around for 18 years and the parent company has been around for 32 years. I’ve known Gery Carson the founder for a long, long time and he’s always been good to me. If you have any questions feel free to leave me comments below.